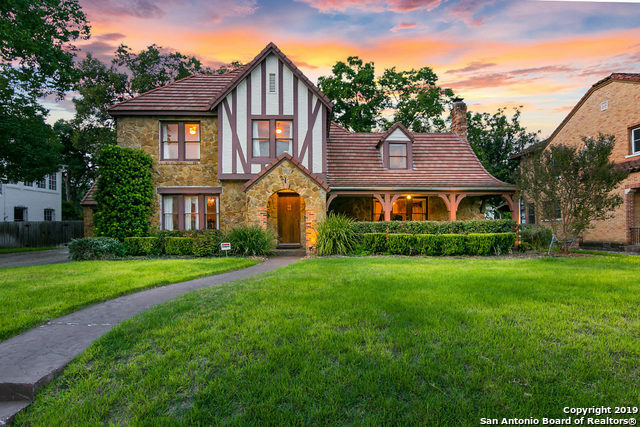 All MONTICELLO PARK homes currently listed for sale in San Antonio as of 04/20/2019 are shown below. You can change the search criteria at any time by pressing the 'Change Search' button below. "Beautiful 1936 home with both vintage and modern feel that sits on .6 acres. Wood floors, Redondo tile, butlers pantry, new windows, electric gate and fencing. Huge addition to include a second living area , laundry room with sink and tons of cabinets, a library and a room perfect for a nursery. Huge master suite and bath with walk in closet. Beautiful backyard original fountain, a patio, covered deck with a new pool. over $100k in upgrades/additions. Near the medical ctr., The Pearl Motivated"
"One of kind secluded Antebellum home 10 mins from Downtown! This 4800 sq ft mansion sits on almost 1 acre & features 2 sweeping porches. Enjoy coffee on your private balcony w/entrance from 1 of 2 bedrooms. 2 living areas, 5 bedrooms, 3 full baths & basement in main home. Included is a spacious detached living area almost 900 sq ft w/ full kitchenette, bedroom, separate living & full bathroom. 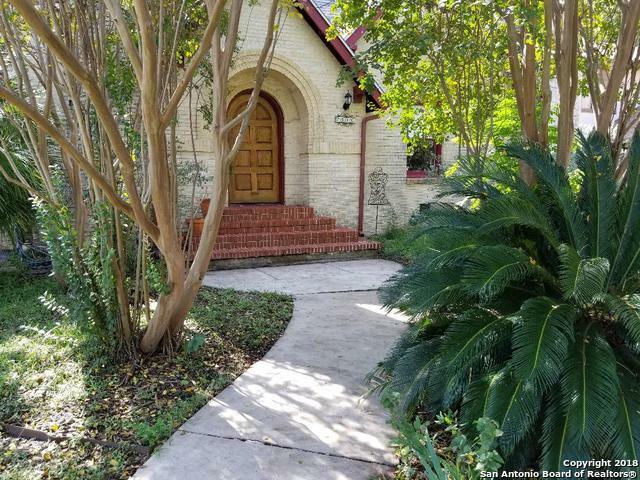 Hardwood floors, vaulted ceilings, most systems have been updated in past 5 yrs-Hvac, roof, electrical,"
"This totally remodeled elegant home in historic Monticello Park offers 4 generously sized bedrooms with the Master bedroom downstairs. Beautiful built-ins, abundant storage and 2 fireplaces. The 1/1 apartment in the back with full kitchen will entertain guests or serve as a fantastic rental income opportunity." "Beautiful Monticello Park home in the desirable Historical District*This home boasts many architectural features including decorative Half-Timbering on the home's exterior, dramatic high coved ceilings, Tudor pointed arches in living room, built in granite counter china cabinet, immaculate original oak wood floors, & more! New 4k 55 tv, washer/dryer and fridge are included in purchase. 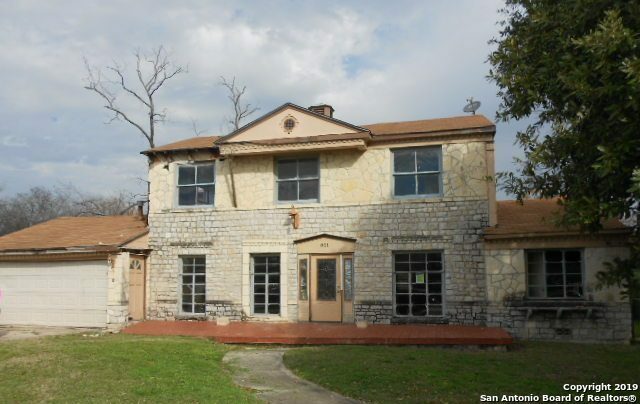 Minutes to Downtown, Hwy IH-10 & 410,the Medical Center, Ft. Sam Houston, St. Mary's & UTSA." 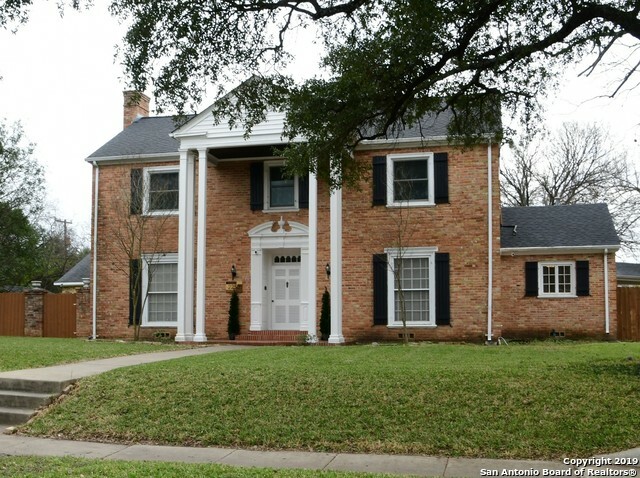 "Beautiful home in the desired Monticello Historic District. Freshly painted inside, gleaming hardwood floors refinished Oct. 2018. Large original arched niches in living and dining rooms. Decorator lighting ready to showcase your favorite art. Large fenced back yard with mature trees. Covered patio off of the living room overlooks front yard. Two-car detached garage with side storage. Walking distance to beautiful Woodlawn Lake & Park with tennis, jogging trail, pool, basketball. See it TODAY!" 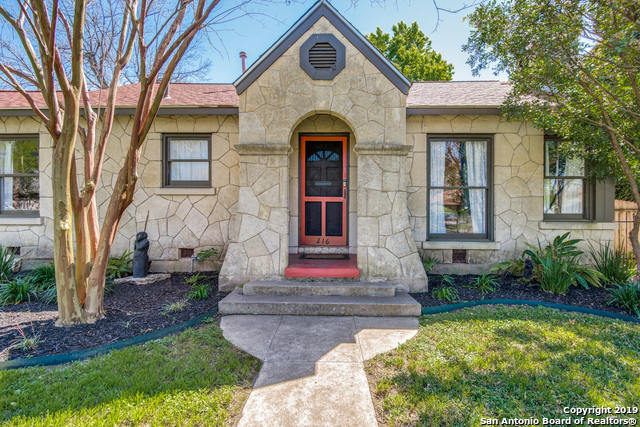 "A charming one story home in Historic Monticello Park. Completely refurbished with original wood floors and time period characteristics. Easy access to major highways and shopping. One mile from Woodlawn lake, this impressive stone exterior home has a large detached garage with a hobby/storage room or could be finished out to include a detached quarter." "Charming Monticello Park home! Original, unbelievably lovely hardwood floors downstairs and upstairs. Terrific remodeled kitchen with all new appliances that remain. Just completed: electric work, gas lines, some plumbing, window a/c/heaters downstairs, and interior paint. Look at the spacious room sizes, enough for everyone. 2310 square feet according to BAD. Gracious archways connect living and dining rooms as well as upstairs dressing area in bath. 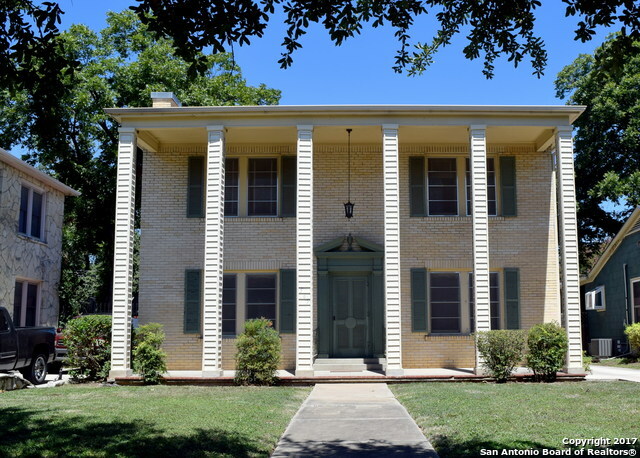 Updated and with character - the very b"
"Located in the desired Monticello HIstoric District. Home has new paint throughout (Jan. 2019), new carpet in upstairs secondary bedrooms (Jan. 2019). Living, formal dining and master bedroom down have original hardwood floors. Nice size kitchen overlooks breakfast room with french doors to large fenced back yard with nice size patio. Home is ready for update but very liveable as is. Just 3 blocks north of beautiful Woodlawn lake and Park that has jogging trails, pool, & tennis courts. Come see"
"MONTICELLO PARK Charmer. The spacious home features 2 living areas, large yard, hardwood floors in part of the home. Property is priced to sell. Bring you imagination and see how to make this house a home."